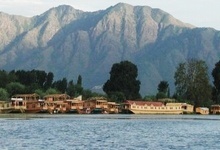 Srinagar is centred around the idyllic Dal and Nagin Lakes, where you'll find one of Kashmir's favourite attractions - its houseboats. During the Raj period the Kashmir Maharaja refused to grant the British permission to own land here. Instead, they built houseboats - each one a little piece of England afloat on the lakes, and still Kashmir's most delightful accommodation option. 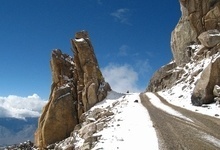 The road from Srinagar to Leh negotiates high passes and fragile mountainsides. 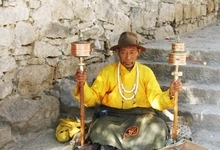 There are dramatic scenic and cultural changes as you go from Muslim, verdant Kashmir to Buddhist, ascetic Ladakh. After crossing the Zoji La pass you will drive through rugged mountains to arrive at lush green villages set in valleys. 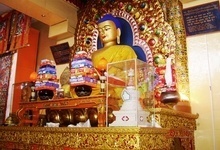 Along the way you visit Lamayuru with its moonlandscape and the 12th century Alchi monastery. After acclimatising to the altitude, you can explore Leh. 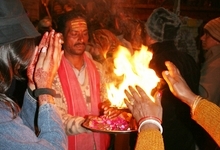 It used to be one of the busiest market towns on the caravan trade between India and Central Asia. These days it retains a distinctly central Asian feel. 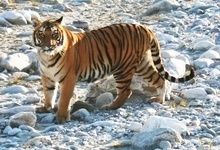 You need one full day to explore the Indus Valley gompas of Shey, Tikse & Hemis. 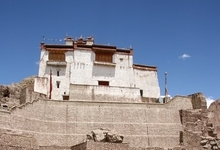 The Hemis monastery is the biggest and wealthiest monastery in Ladakh. Colourful flags flutter in the breeze from the four pillars in the courtyard. North of Leh, the Nubra Valley is a sublime mixture of cultivated fields set in an arid desert that glows with white sand surrounded by the Karakoram Range and sliced by rivers. After crossing the Khardungla Pass, you descend to the villages of Nubra, which were important stops for rations along the Silk Road to Central Asia. 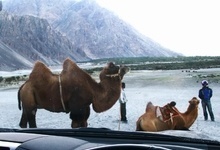 You find here the rare double-humped Bactrian camels once used for transport on the Silk Road. The 2 day drive from Leh to Manali takes you through some of the highest passes in the world including the second highest motorable pass in the world - Tanglangla at 5328 metres. Running through a starkly beautiful lunar-like wilderness, inhabited only by nomadic shepherds, this journey will be one of the most unforgettable of your life. Be prepared for landslides and vehicular breakdowns; they are part of the adventure. 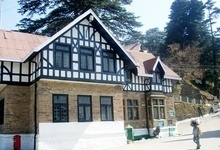 Shimla was developed by the British in the 19th century as the summer capital of India. The town has continued to grow and now covers a much larger area, but at its heart remains the Mall, lined with colonial era buildings. It is a perfect place to stroll around to appreciate Shimla's past and to make excursions to the countryside around whilst enjoying the salubrious air and scenic views.